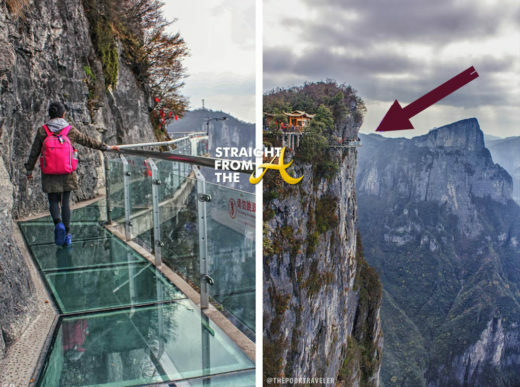 People find amusement out of the oddest things sometimes and there are several glass sky bridges in China that have been built for thrill seekers. The bridges are constructed at jaw-dropping heights and one in Heibi, China is pushing the limits of fear with a cruel “joke”. As people walk across the 3,871ft high bridge, their fear of heights is already tested, but with special effects added of glass cracking under foot, so is their fear of death!